"How each of us nurtures, heals, and explores Soul will have impact on the vast cultural changes beginning to manifest. If we become more Soul-Conscious, we will become more powerful and effective as Lightbearers, as Warriors, as Wise Women and Wise Men of the 21st Century". SoulCollage®, birthed by Seena B. Frost, is a process for accessing your intuition and creating a deck of collaged cards with profound personal meaning that can assist you explore life's questions and transitions and your inner-self! The cards are created by pasting cut-out images from old magazines, calendars, greeting cards, brochures, photographs, stock images, etc., onto mat board or another base. Once made, a next step is the reading of the card(s), privately or in a group, using the "I am one who..." (IAOW) process. 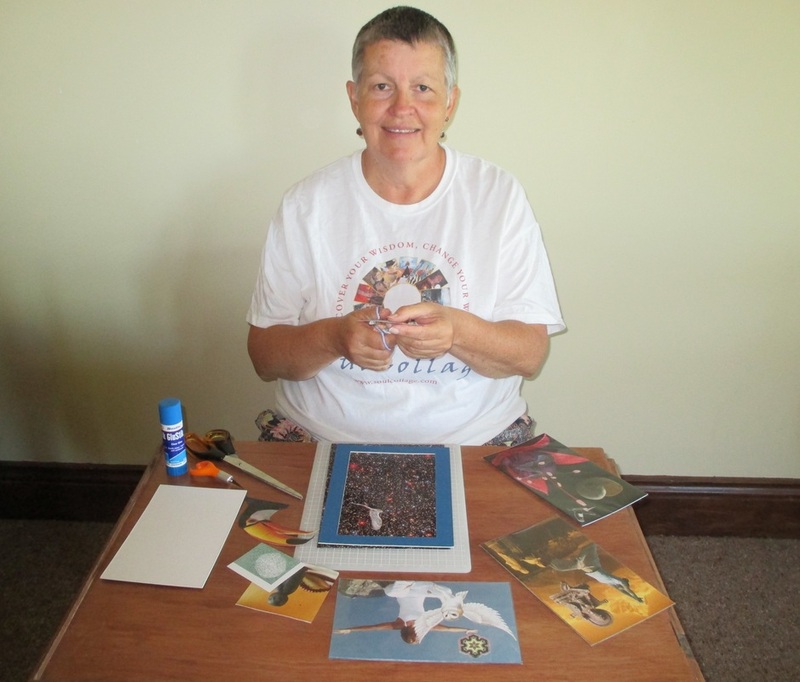 SoulCollage® can also involve journaling and other activities. SoulCollage® is about the inner self and the inner journey - the most important journey of all! This practice helps you to explore your personality and nature and to come to better know yourself and to express yourself in meaningful, positive, enjoyable, creative and transformative ways. 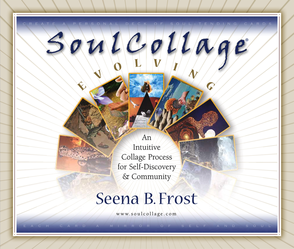 The most authoritative and complete information on SoulCollage® is available from the SoulCollage® website and from Seena Frost's excellent and award-winning book, SoulCollage® Evolving: An Intuitive Collage Process for Self-Discovery and Community. While the SoulCollage® website and Seena's book provides the most authoritative and complete information on SoulCollage®, there is nothing better than receiving guidance and assistance from an experienced and trained SoulCollage® Facilitator in person! Check out Debrah's "SoulCollage® Offerings"
to find out what I can share with you! ​All these SoulCollage® cards are copyright-free. 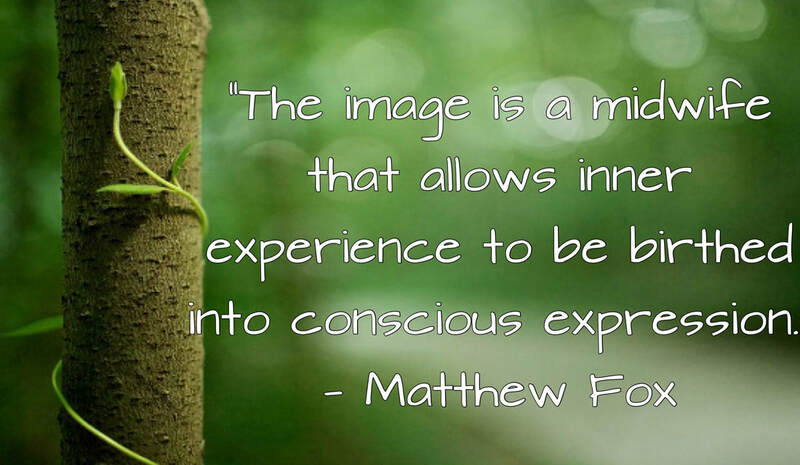 "The soul perceives itself in its meditations on images". The Principles of SoulCollage® and SoulCollage® Guidelines, are available from the SoulCollage® website. IMPORTANT: SoulCollage® cards are for personal use only. SoulCollage® cards are not to be sold, traded, or bartered; they are to be reproduced only for the personal use of the maker of the card. SoulCollage® cards may be shared as examples to illustrate the SoulCollage® process, but it is a principle of SoulCollage® that SoulCollage® cards are not for sale, trade, or barter. [from “The Principles of SoulCollage®]. In keeping with this key SoulCollage® principle, no SoulCollage® cards, or copies of them, will be sold, traded, or bartered by me, or my students. ​and we commit to being respectful of artists' rights under copyright law.